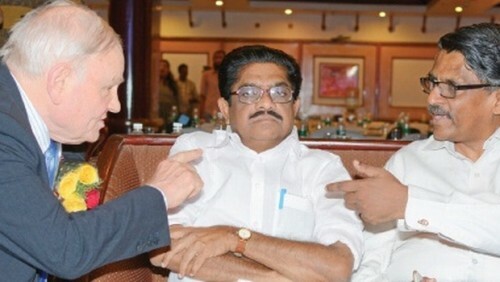 Criticising the government policy of allowing more beer and wine parlours in the state, KPCC chief V M Sudheeran on Thursday called for an ‘in-depth study’ into their impact and corrective measures. Sudheeran was addressing I-Con 2016, a three-day international conference organised by the Excise Department’s Subodham Project on alcohol policy. While lauding the government’s liquor policy which had brought down consumption by 20.27 per cent in the past 18 months, Sudheeran drew attention to the fact that wine and beer sales had increased. “This is due to the licensing of 730 new beer-wine parlours since April 2015. I suggest that an in-depth study of various aspects related to the trend may be conducted under the Subodham programme and corrective measures be initiated,’’ he said. Sudheeran trashed the argument that prohibition would hit the tourism industry. Tourists visit Kerala to savour natural beauty and not for liquor, he said. ‘’They never come with an intention of consuming liquor. Tourists are also attracted to the culture and legacy of Kerala. The number of those tourists coming for ayurvedic treatment is also not less. Actually alcohol consumption is not permitted along with ayurvedic treatment,’’ he said. ‘’I feel that tourists were afraid of coming to Kerala because of liquor-related crimes against women,’’ he said. He also suggested a campaign against liquor and drugs right from the primary school level as part of a catch-them-young policy. Terming the UDF government’s liquor policy a ‘’classic case of knee-jerk reaction,’’ T N Seema MP called for its modification. ‘’The CPM sincerely believes that the present policy was formulated without any scientific deliberations and that it is a classic case of knee-jerk reaction. The present policy needs to be examined and corrective action taken,’’ she said. To questions from the audience on whether the CPM would ban beer and wine parlours if it came to power, she said that an appropriate decision would be taken at that time. ‘’We are never for promoting alcohol,’’ she said.